Do you know what the international (smiley face) “RADURA” symbol means? Designed to impart undeserved confidence? It is used to show a food has been treated with ionizing radiation: gamma rays produced by radioactive cobalt. The word RADURA is derived from radurization, an artificial word combining the letters of “radiation” with the stem of “durus”, the Latin word for hard, lasting, or strong. The symbol was developed and copyrighted in the Netherlands during the 1960s, when an institute sponsored by the United Nations, at the invitation of the Dutch Government, undertook studies on food irradiation. The icon was intended to denote food (as an agricultural product) represented by a plant (the dot and two leaves) in a closed package (the circle) irradiated from top through the package by penetrating gamma (ionizing) rays (the breaks in the upper part of the circle). It was licensed to anyone who adhered to carefully delineated standards. The intent was to make irradiated produce recognizable: the Radura logo was to indicate quality and purity, not a warning. In Dutch supermarkets the logo was prominently displayed as a marketing tool to promote products of high quality coupled with extended shelf life. However, public sensitivity to the Radura symbol became entangled with common perceptions of radiation. Historical and then-current events of international conflict drew association to nuclear radioactive decay and biological hazards. Proponents of food irradiation were frustrated that proposals for international warning symbols representing radiation or bio-hazard appeared confusingly similar to consumers. This seems to have played a role in resistance to the process, and irradiation of food has not been widely adopted due to negative public judgment, converging anxiety expressed by consumer groups, and the reluctance of many food producers. The European Community does not provide for the use of the Radura logo. Instead, labeling of appropriate phrases in the respective languages of the member states is required, thoroughly disclosing each irradiated ingredient in the final product; restaurant food is also accordingly labeled. Other countries and regions vary. In the US, the Food and Drug Administration (FDA) conditioned approval of the symbol (slightly altered for the US) on attending disclosure: since 1986, irradiated foods include labeling with either the statement “treated with radiation” or “treated by irradiation.” The labeling requirement does not extend to restaurant or processed foods: viewed by Food Safety Advocates as useful information to consumers concerned about food irradiation. Opponents to food irradiation feel the RADURA logo is deceptively “positive”: particularly, in its green color, illusion to “earth” imagery; perhaps even in its allusion to American “recycling” images. In fact, the only vaguely nuclear-looking aspect of the radura is the broken lines, which is supposed to symbolize gamma rays. Food safety critics contend that if it looked like a generic symbol for radiation rather than a flower, consumers would be wary: “Visually, the radura is a triumph of advertising design, a benign, health-foody symbol for a process that is known to strike instinctive fear in the heart of the average consumer.”  Consumer advocacy groups focused on abuse of the term“organic” interpret labeling irradiated food as “raw” misleading, as nutritional content is impacted in ways similar to cooking. what does "decaying radioactive energy"
Radiation isn't always dangerous: it depends on the type. The light emitted from an electric bulb is a type of radiation, as are the microwaves that cook food in a countertop oven. Radioactive substances, however, concern particular types of radiation. A radioactive substance is unstable and produces dangerous kinds of radiation: because the strong nuclear force that holds the nucleus of the atom together is not balanced with the electric force that wants to push it apart. Because of this instability, the atoms will decay and seek to form into more stable ones. Stable atoms can be neutral/supportive, beneficial, or harmful to the organism. A radioactive atom has a higher energy than it needs. Energy in the universe has a natural tendency to dissipate: when a structure has more energy than it needs, it will lose energy over time. Scientifically, energy in the universe is never created or destroyed, it is said to be continually conserved. So when a radioactive atom loses spare energy by decaying, that energy must go somewhere: it goes into the radiation that is produced. Radioactive substances are continually producing three kinds of dangerous radiation: alpha particles, beta particles and gamma rays. These types of radiation are invisible to the naked eye (but can interact with nearby phosphorescent or florescent materials that will glow green: that’s why a green glow is associated with radioactivity). Alpha particles are the nuclei of helium atoms: slow moving, they cannot penetrate the skin, but can cause severe damage if swallowed. Beta particles are high-energy electrons that can penetrate through paper and even partially into the human body, but cause less damage than alpha particles. 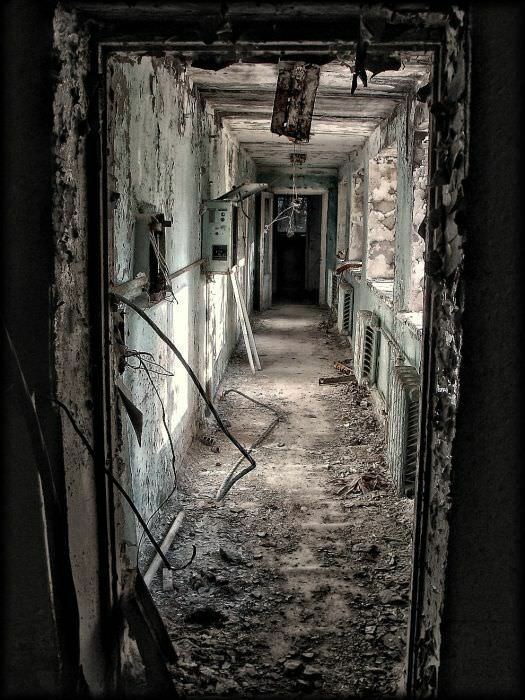 Gamma rays are extremely high energy electromagnetic waves that can only be stopped with thick lead or concrete. Within the meaning of the Atomic Energy Act of 1946 —(The McMahon Act) which determined how the United States would control and manage the nuclear technology it had jointly developed with its World War II allies, the United Kingdom and Canada—radioactive substances are: nuclear fuels, i.e. also: other radioactive substances which, without being nuclear fuel, spontaneously emit ionizing rays, or contain or are contaminated with one or several of the substances mentioned. Food irradiation is the process of exposing foodstuffs to a source of energy (ionizing radiation) capable of stripping electrons from individual atoms in the targeted material. This treatment is used to preserve food, reduce the risk of food borne illness, prevent the spread of invasive pests, delay or eliminate sprouting or ripening, increase juice yield, and improve re-hydration. Irradiation is permitted by over 50 countries, with 500,000 metric tons of foodstuffs annually processed worldwide. 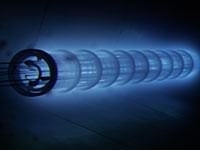 Irradiation is also used for non-food applications, such as sterilizing medical equipment and devices, plastics, tubes for gas pipelines, hoses for floor heating, shrink-foils for food packaging, automobile parts, wires and cables (isolation), tires, industrial radiology and blood therapy. Food safety advocates question: "how do we know?" Food Safety Advocates are critical of the process because of the potential for irradiation to initiate chemical changes that are different from the chemical changes that might occur from heating food, and the potential danger of these substances, called Unique Radiolytic Products. Current—and often disputed—research has found only that most if not all of these substances are not unique as they may also be produced when heating food, and have been identified as “non poisonous.” Due to associated public pressure, regulations placed upon irradiated food (as well as food allowed to be irradiated), vary widely from country to country: in Austria, Germany, and other European Union countries a single food category (dried herbs, spices and vegetable seasonings) is allowed to be processed with irradiation; while in Brazil all foods are allowed. Depending on the dose, some or all of the microorganisms, bacteria, viruses, or insects present are destroyed (or rendered incapable of reproduction), reducing or eliminating the risk of food borne illness. When enzymic action is slowed and spoilage organisms are affected, spoilage is arrested or slowed. This prolongs shelf-life (“counterfeit freshness”), eases rehydration processes and delays the ripening of fruits and the sprouting of vegetables. As ingredients, some foods (example: herbs and spices), are irradiated at sufficient doses (≥5 kilograys) to reduce the microbial counts by several orders of magnitude; such ingredients do not carry over spoilage or pathogen microorganisms into the final product. Insect pests are sterilized using irradiation at relatively lower doses: this prevents the importation of invasive species, and allows foods to pass quickly through international quarantine. Food Safety Advocates disparage that other existing practices currently being used can accomplish similar goals. For example, food-borne pathogens and insect infestations could be reduced by more sanitary and stronger regulated agricultural practices. However, ionizing radiation produces better metrics and is more cost effective. A carbon atom in "electrical balance"
Food molecules are made up of atoms that ordinarily have no net electrical charge: each atom has a nucleus containing uncharged neutrons, and protons, which are positively charged; negatively charged electrons orbit around the nucleus. But as the energetic particles or waves pass through the target material during irradiation, they collide with atomic particles, knocking them out of orbit. This is how irradiation kills bacteria: chemical bonds nearing the sites of these collisions are broken (radiolysis) that are vital for cell growth and integrity. As a result, the microbes die, or can no longer multiply. When the bonds are destroyed, it creates short-lived radicals (Hydroxyl radicals, hydrogen atom and solvated electrons). only exist in irradiated foods. Therefore, irradiation causes a range of chemical changes: but that is what makes irradiation potentially useful. The scale of chemical changes are not unique: as cooking, smoking, salting, and other commonplace procedures alter food so dramatically that its original nature is nearly unrecognizable, and must be identified by a different name. Further, the quantities in which they occur in irradiated food are lower or similar to the quantities formed in heat treatments. Storage of food also causes dramatic chemical changes that eventually lead to deterioration and spoilage. In the instance of pet foods, the finished products are often shipped lengthy international distances, and further may be stored for years under non-ideal circumstances prior to purchase by the consumer. Irradiation is attractive to food suppliers because even though living cells have been destroyed, the food will look the same: without cell division, the food cannot undergo the normal processes of ripening and decay. The extended shelf life of irradiated food is a function of this destruction of DNA, and a sign of chemical transformation. Since it cannot be observed visually, the success of irradiation is measured through Dosimetry. The radiation absorbed dose (RAD) is the amount of energy absorbed per unit weight of the target material. Dose is used because, when the same substance is given an equal dose, comparable changes are observed in the target material. The SI unit (the international system of units: The National Institute of Standards and Technology) for dose is grays (Gy or J/kg). Dosimeters are used to measure dose, and are small components that, when exposed to ionizing radiation, change measurable physical attributes to a degree that can be seen and correlated to the dose received. So, measuring dose involves exposing one or more dosimeters embedded in the pallet along with the target (dog food ingredient) materials. Modern dosimeters are made of a range of materials, including alanine pellets, perspex (PMMA) blocks, and radiochromic films, as well as special solutions identified through specialized read-out devices and careful reporting/documentation proscribed by the American Society for Testing and Materials (ASTM international). Doses are generally divided into low (up to 1 kiloGy), medium (1 kGy to 10 kGy), and high dose applications (above 10 kGy). High dose applications are above those currently permitted in the USA for commercial food items by the FDA and other regulators globally. As the process is undertaken, the safety of facilities is regulated by the United Nations International Atomic Energy Agency and monitored by the different national nuclear regulatory bodies: (in the US the Nuclear Regulatory Commission (NRC) regulates the safety of the processing facility, and the US Department of Transportation (DOT) regulates the safe transport of the radioactive sources). Gamma irradiation involves exposing the target material to packets of light (photons) that are highly energetic (called Gamma rays) sourced from a radioactive material (radioisotopes). Gamma irradiation is the standard for pet foods—particularly finished dog treats such as imported jerky products—because the deeper penetration of the gamma rays enables administering treatment to entire industrial pallets or totes, reducing the need for material handling. Gamma irradiation is the standard for pet foods—particularly finished dog treats such as imported jerky products—because the deeper penetration of the gamma rays enables administering treatment to entire industrial pallets or totes, reducing the need for material handling. Cobalt-60 (60CO) bred from cobalt-59 (59CO) using neutron activation in specifically designed nuclear reactors is generally used as a radioactive source for food irradiation. Cobalt-60 has a half-life (the period it remains dangerously radioactive) exceeding 5 years. is typically exposed for up to several hours. 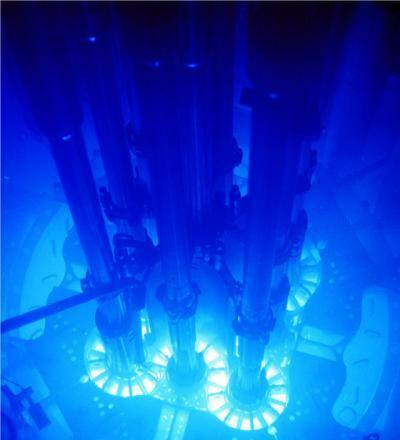 The blue glow of the reactor pool is known as Cherenkov radiation, electromagnetic radiation understandable as similar to a “sonic boom,” such as a fighter jet causing an explosive form of feedback at it catches the rippling sound waves given off by its own engines. A nuclear reactor can catch and interfere with light: radiation from nuclear material causes magnetic distortions in the water, super-charging water molecules until they release excess energy (throw out photons) which is amplified to a visible level as blue light. Irradiation by X-ray is similar to irradiation by gamma rays in that less energetic packets of light (X-rays) are used. In a process known as bremsstrahlung-conversion, X-rays are generated by colliding accelerated electrons with a dense material; and so do not necessitate the use of radioactive materials. X-rays produce superior dose uniformity than Gamma irradiation with a similar ability to penetrate the target. They are costly to produce, however, since only as much as 12% of the input energy is converted into X-rays. X-ray facilities rely on extensive concrete shields to protect workers and the environment from radiation exposure. Establishing an irradiation facility is a capital-intensive endeavor ranging from $1 to $5 million. A large research or contract irradiation facility would involve a radiation source, hardware (irradiator, totes and conveyors, control systems, and other auxiliary equipment), substantial land, a radiation shield (perhaps a 20-foot thick concrete wall), and warehouse. Fixed and variable operating costs are considerable including a specialized workforce, utilities, maintenance, insurance, cobalt-60 replenishment, disposal of radioactive waste, and a range of general operating costs. The cost of food irradiation is influenced by dose requirements, the food's tolerance of radiation, handling conditions (example: packaging and stacking requirements), financing arrangements, and other variables particular to the situation. Global trade in irradiated food is limited, excepting minor quantities of fruit and ground meat products irradiated to eliminate insect pests and to fulfill US quarantine requirements. Currently, Mexico is the largest exporter of irradiated produce to the US. Analytical methods are available to conduct market surveillance to detect the usage of irradiation on food items, taken as a device for government authorities to enforce existing labeling standards and to encourage consumer confidence. However, little information is available in readily understandable formats for consumer use in the marketplace. Who Cares...What the Consumer Thinks? Today, irradiation has not been widely adopted in the US due to negative public perception, expressed by some consumer advocacy groups and the attending reluctance of food producers. Consumer sensitivity to foods treated with irradiation is more negative than those processed by other means, and supermarkets may not carry irradiated products for that reason. Nevertheless, studies indicate that aversion is weakening, and may be lower than concerns about pesticide residues, microbiological contamination, and other processes used to ensure food “purity.” Moreover, today, irradiation of pet foods— and most particularly, treats such as chicken or duck jerky for dogs—is becoming routine without accommodation for consumer preference (to overcome unsanitary processing milieus), and aggressively defended by the vendors. In 2009, however, Australia ended its government-mandated practice of irradiating imported pet food, following compelling evidence that cats can suffer fatal neurological damage after eating irradiated dry food. About 90 cats fell ill (tetraplegia: paralysis of all four limbs and the torso) and 40 died before a Sydney vet, Georgina Child, connected the mysterious illness to the Canadian pet food Orijen. The brand’s Canadian “co-packer” (contract manufacturer), Champion Petfoods (ED, AL), blamed the contaminated food on Australian quarantine regulations: which stipulated that pet food not cooked over a specified temperature undergo irradiation of 50 kiloGrays upon arrival in the country. Champion stressed that of 60 countries they exported to, only Australia made irradiation compulsory. Both the Australian Quarantine and Inspection Service and Steritech (Charlotte, NC: the irradiation vendor), insisted that the process was harmless. The limited feline necropsies that were performed were inconclusive—though critics stress that no one knew what to look for—and the Australian Veterinary Journal still maintains today that there is no known mechanism by which changes induced in foods by irradiation could stimulate the extent of injury. Microscopic damage to the white matter of spinal cord and brain was seen; however, the issues have not been further explored. Food Safety Advocates and other scientists suggest that the answer was likely vitamin A deficiency: since irradiation destroys vitamin A. This would confirm why only cats became sick on the food: dogs have the ability to synthesize their own vitamin A, but cats, as obligate carnivores, cannot. In With the “Bad,”...Out With the “Good”? Consumer advocacy groups and public health experts have expressed concern that irradiation endangers public welfare since it might be used to sanitize contaminated food (“counterfeit freshness”): therefore masking spoiled contents and making foods appear fresh longer. In the case of pet foods, where FDA compliance policies specifically permit the use of such ingredients that would otherwise be prohibited by existing federal law—including that characterized as “contaminated,” “filth,” “contaminated with rodent, roach or bird excreta,” or “from already dead or diseased animals,” for example—this should be seen as a legitimate and paramount alarm. Although the process of spoilage would be stopped, irradiation would not destroy the toxins already present: if the food contains botulism (not killable by irradiation) or other spoilage that would otherwise be noticeable by smell, irradiation would have eliminated the odor. Further, radiation kills "beneficial bacteria" (probiotics) that inhibit the growth of pathogenic (disease causing) bacteria, and may also engender creation of radiation tolerant bacteria . It is feared that the ability to mask spoiled ingredients and finished foods—despite current regulations imposed on the irradiation facilities—could encourage even more lax safeguards in food processing facilities, and therefore lead to a greater introduction of contaminates: food producers could economize on sanitation, because they would have a “kill step” at the end of their food production process shortly before shipping. The argument about the lack of long-term studies, and therefore, that the safety of irradiated food is not scientifically proven—despite that hundreds of animal feeding studies of irradiated food, including multigenerational studies, have been performed since 1950—is worth consideration. Critics argue that the FDA has summarily dismissed hundreds of studies demonstrating adverse physical or microbiological consequences, instead relying on “obscure journals,” the US Army’s own food irradiation program, and industry-funded research. Irradiated food is not radioactive, critics argue, but it is radiomimetic, or radiation imitating: the consumer (or pet) receives an indirect exposure to between thousands and millions of rads (a deprecated unit of absorbed radiation dose), by consuming the food. Many laboratory research papers investigating sub-chronic and chronic changes in metabolism, histopathology, and systemic functioning, reproductive effects, growth and teratogenicity (fetal malformation,) mutagenicity and depression of the hematopoeietic system (that forms blood) are not encouraging for defenders of irradiation. Food Safety Advocates stress that these issues would be more significant with respect to pet foods, where the dog may be fed the same or similar foods every day of its life. Among other studies, researchers have questioned the possibility of increased aflatoxin production by irradiated microorganisms as they defend themselves: perceiving irradiation as an attack by a predator. One study, conducted by the FDA itself in 1979, demonstrated that irradiation increases production of aflatoxins regarded more deadly than many banned pesticides by more than a hundredfold. Moreover, a toxic synergy occurs when multiple mycotoxins are present in a pet food or treat, amplifying the toxicological potentiation. Despite (false) assurances that pet foods are highly regulated, there is no regulatory maximum or cumulative level for pet food or animal feed for many mycotoxins, nor an established LOAEL (lowest observed adverse effect level) or no established NOAEL (no observable adverse effect level) for any mycotoxin in pet food or animal feed. The regulatory framework enfolding food irradiation attempts to integrate concerns about efficacy; plus chemical and microbiological safety. The Codex Alimentarius represents the globally recognized standard for irradiation of food, organized under the World Trade Organization (WTO) agreement. At their discretion, member states convert those standards into national regulations, leading to some international variation. The United Nations Food and Agricultural Organization (FAO) has committed member states to implement irradiation technology for their national phytosanitary programs (measures for the control of plant diseases, particularly in agricultural crops); and the General assembly of the International Atomic Energy Agency (IAEA) has urged wider use of irradiation technology. According to the Codex Alimentarius, any “first generation” product must be labeled “irradiated,” as does any product derived directly from an irradiated raw material. For ingredients, the provision is that even the last fragment of an irradiated ingredient must be listed with the ingredients, even in cases where an un-irradiated ingredient does not appear on the label. The RADURA logo is optional (and several countries use a graphical version that differs from the Codex-version). In this instance, the Radura symbol would not be a designator of “quality”: the sum of pathogens remaining is based upon irradiation dose and the original content. In 2003, the Codex Alimentarius removed any upper dose limit for food irradiation as well as clearances for specific foods, declaring that all are safe to irradiate. In the US, interest in food irradiation gained significant momentum in 1947 when researchers found that meat and other foods could be sterilized by high energy and the process was seen to have potential to preserve food for military troops in the field; the US Army experimented throughout the 1950s. The irradiation process itself was classified as an “additive” in 1958 through an amendment to the Food, Drug, and Cosmetics Act: making it necessary for food producers to submit individual petitions for permission to irradiate specific food products. Irradiated foodstuffs are defined as in which the irradiation causes a material change in the food, or a material change in the consequences that may result from the use of the food. This standard is inconsistent with the Codex Alimentarius, since food that is processed as an ingredient by an intermediate processor is exempt from the labeling requirement. All irradiated foods must bear a Radura symbol at the point of sale in conjunction with explicit language describing the change in the food or its conditions of use. Under these provisions, the FDA issued its first approvals for irradiating food-wheat, wheat flour, and canned bacon-in 1963, and other applications followed. But in 1968, the agency revoked its approval regarding bacon, because additional research had revealed that bacon's safety had not been sufficiently established. No additional approvals were issued for nearly twenty years. Food Safety Advocates are sharply critical that the FDA’s Bureau of Foods Irradiated Food Committee (BFIC) supported this abrupt change (including blanket approvals) on review of only 5 of 441 available scientific studies, including one entitled: “On the Wholesomeness of High Concentrations of Free Radicals in Irradiated Foods.” The FDA also made its assumptions pursuant to unilaterally declaring that then-current toxicity tests were not sensitive enough to determine the potential toxicity of Unique Radiolytic Products (URPs, see: discussion above). And to date, no research has been conducted to analyze the potential for URPs to become stored in fatty tissues and accumulate, crossing the threshold (one part per million) set by the FDA. FDA defends blanket dismissal of opposing research, including its denial of petitions for hearings to examine the agency’s decision on methodological and statistical grounds. Shortly after, the FDA defended its blanket dismissal of opposing research, including its denial of petitions for hearings to examine the agency’s decision on methodological and statistical grounds. Already approved for use in feeds for laboratory animals, the FDA permitted the use of irradiation for all pet foods in April 2001. In the US each new food is approved separately with a guideline specifying a maximum dosage; in case of quarantine applications the minimum dose is regulated. As a food “additive,” irradiated products are regulated by the FDA, but the US Department of Agriculture (USDA) amends these rules for use with meat, poultry, and fresh fruit. The USDA has approved irradiation as an alternative treatment to pesticides for fruits and vegetables that are considered hosts to insect pests, including fruit flies and seed weevils (such as those that breed in silos of grains used in pet foods). Agreements are made with less developed countries to allow them to earn income through food exports agreements while allowing them to irradiate fruits and vegetables at low doses to kill insects, so that the food can avoid quarantine. In 2012, the FDA approved a petition from Sadex Corp. (St. Sioux City, IA) allowing irradiation of animal feed and pet food ingredients. As discussed above, characterized as an “additive,” such products will not be required to bear identification (or the Radura symbol) for consumer disclosure. Since 2007, Chinese-manufactured chicken, sweet potato, and duck jerky treats are believed causal in thousands of pet illnesses and deaths in the U.S and in Australia (they were recalled in Australia); but not in Europe. Food Safety Advocates note that besides the country of origin (China), the common connection with the treats may be irradiation. Amid negative publicity and robust consumer demands for recalls, Nestlé Purina shut down its manufacturing process for re-tooling (and, supposedly taking control over the ingredients sourcing process) for its Waggin’ Train® chicken jerky treats in 2013. Those made in China will be irradiated, and bear the Radura logo. According to Nestlé Purina: “Waggin’ Train Brand products that reflect the Radura symbol go through an irradiation process approved for pet food by the FDA. This is similar to what is used in sterilizing spices, apples, tomatoes and meat for human food. This extra precaution is taken to assure pet owners the treats they buy are safe and healthy.” The company does not acknowledge the self-contradiction in proclaiming aggressive confidence in their manufacturing process: wouldn't it's supposed integritypre-empt the need for irradiation? Among the options for ensuring streams of clean and sustainable foodstuffs, Food Safety Advocates question why the FDA, instead of drafting its compliance policies, doesn’t work to clean up filthy and inhumane slaughter houses, increase the number of federal food inspectors, and encourage local and organic agriculture instead of factory farming; as just a few proposals that could lead to long-term food safety solutions without the risks of irradiation. What disturbs me is that people think The Food and Drug Administration is protecting them. It isn’t. Patricia Leigh Brown: Design Notebook; In a World of Symbols, One Brings Confusion; New York Times, January 1992.
long-lived radionuclides (radioactive substances with a half-life of more than 100 days). Caesium-137, a less costly alternative recovered during the processing of spent nuclear fuel, is also used as a radioactive source, but available quantities do not support large-scale commercial use. An incident where water soluble caesium-137 leaked into the source storage pool requiring NRC intervention has led to near elimination of this radioisotope outside of military applications. US Environmental Protection Agency: (Greenhouse Gas Reduction Programs) Energy Efficiency in Water and Wastewater Facilities. Low dose applications such as de-infestation of fruit range between US$0.01/lbs and US$0.08/lbs while higher dose applications can cost as much as US$0.20/lbs. See, for example: Public Citizen, or Food and Water Watch. In genetic study: a mutagen is a physical or chemical agent that alters genetic material (usually DNA; also RNA) of an organism, thereby increasing frequency of mutations above the natural background level. As many mutations provoke chronic illness and cause cancer, mutagens are therefore also likely to be carcinogens. When RNA (nucleic acids present in all living cells) is affected, it acts as a messenger carrying instructions from DNA for controlling the synthesis of proteins; both carry genetic information for viruses. Schindler, AF, Abadie, AN, and Simpson, RE: Enhanced aflatoxin production by Aspergillus flavus and Aspergillus parasiticus after gamma radiation of the spore inoculum; Journal of Food Production 1980; 32(1): 7-9. Micronucleus test in mice fed on an irradiated diet: Jpn J Vet Res 1989 Apr;37(2):41-7; Endoh D, Hashimoto N, Sato F, Kuwabara M.
Genetic effects of feeding irradiated wheat to mice: Can J Genet Cytol 1976 Jun;18(2):231-8; Vijayalaxmi. Chromosome studies on bone marrow cells of Chinese hamsters fed a radiosterilized diet: Toxicology 1977 Oct;8(2):213-22; Renner HW. Irradiated laboratory animal diets: dominant lethal studies in the mouse: Mutat Res 1981 Feb;80(2):333-45; Anderson D, Clapp MJ, Hodge MC, Weight TM. The effect of ionizing irradiation on sensory changes in feed in relation to their utilization by dogs: Vet Med (Praha) 1985 Dec;30(12):739-48, [Article in Czech]; Smid K, Dvorak J, Hrusovsky J. Immune response in rats given irradiated wheat: Br J Nutr 1978 Nov;40(3):535-41; Vijayalaxmi. Aflatoxins (hepatic damage and cancer, immunosuppression); ochratoxins (renal damage, immunosuppression); trichothecenes (weight loss /feed intake reduction, immunosuppression); zearalenone (infertility); fumonisins (organ failure, liver and kidney tumors); fusaric Acid (hypotension and gastrointestinal, hepatic and pneumonic bleeding). Owing to the "single market" concept of the EC that any food (even if irradiated) must be allowed to be marketed in any other member state even if a general ban of food irradiation prevails, under the condition that the food has been irradiated legally in the state of origin. N.B. This essay is written for informational—not instructional—purposes. Our intent is to stimulate discussion and to promote interest iand further examination of the issues presented. We are not legal or scientific scholars, and neither claim or imply that our analysis is necessarily complete. — Margaret Marshall Saunders: "Beautiful Joe"
“... I have very few worries. The pigs bother me a little in the spring, by rooting up the bones that I bury in the fields in the fall, but that is a small matter, and I try not to mind it. I get a great many bones here, and I should be glad if I had some poor city dogs to help me eat them. I don’t think the bones are good for pigs. Then there is Mr. Harry’s tame squirrel out in one of the barns that teases me constantly. He knows that I cannot chase him, now that my legs are stiff with rheumatism, and he takes delight in showing me how spry he can be, darting around me and whisking his tail almost in my face, and trying to get me to run after him, so that he can laugh at me. I don’t think he is a very thoughtful squirrel, and I try to pay him no mind as best I can. Malta, the cat, is still living, and is with Mrs. Morris. Davy, the rat, is gone, so is poor old Jim. He went away one day last summer, and no one ever knew what became of him. The Morrises searched everwhere for him, and even offered a reward to anyone who would find him, but he never turned up again. I think that he felt he was going to die, and went into some out-of-the-way place. He remembered how badly Miss Laura felt when Dandy died, and he wanted to spare her the greater sorrow of his death. He was always such a thoughtful dog, and so anxious not to give trouble. I am more selfish. I could not go away from Miss Laura, even to die. When my last hour comes, I want to see her gentle face bending over me, and then I shall not mind how much I suffer. She is just as tender hearted as ever, but she tries not to feel too badly about the sorrow and suffering in the world, because she says that would weaken her, and she wants all her strength to try and put a stop to some of it. She has never forgotten the resolve that she made, that she would do all that she could to protect dumb creatures…. Thoughtfulness toward lower creatures has made the people more and more thoughtful toward themselves, and this little town is getting to have quite the name for its good schools, good society, and good business and religious standing. …Miss Laura says that if men and women are kind in every respect to their mute servants, they will be astonished to find how much happiness they will bring into their lives, and how faithful and grateful their speechless animals will be to them. Now I must close my story. Good-bye to the boys and girls who may read it; and if is not wrong for a dog to say it, I should like to add, “bless you all.” If in my feeble way I have been able to impress you with the fact that dogs and many other animals love their masters and mistresses, and live only to please them, my little story will not be written in vain. My last words are, “Boys and girls, be kind to your silent animals not only because you will lose nothing by it, but because you ought to; for they were placed on the earth by the same Kind Hand that made all living creatures.